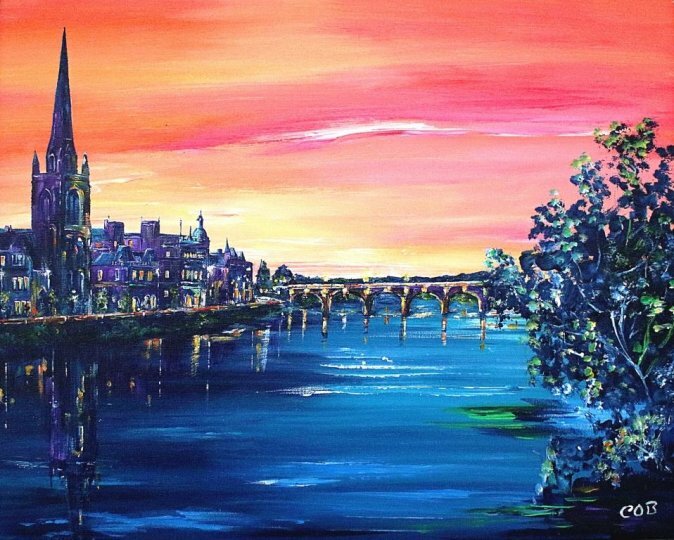 Dusk on Perth and the Tay - Acrylic on Canvas - 16" x 20"
The River tay running by Perth to Smeaton's Bridge. Currently on view in the Dunkeld Summer Exhibition until late August. Silver flecked frame with slip.